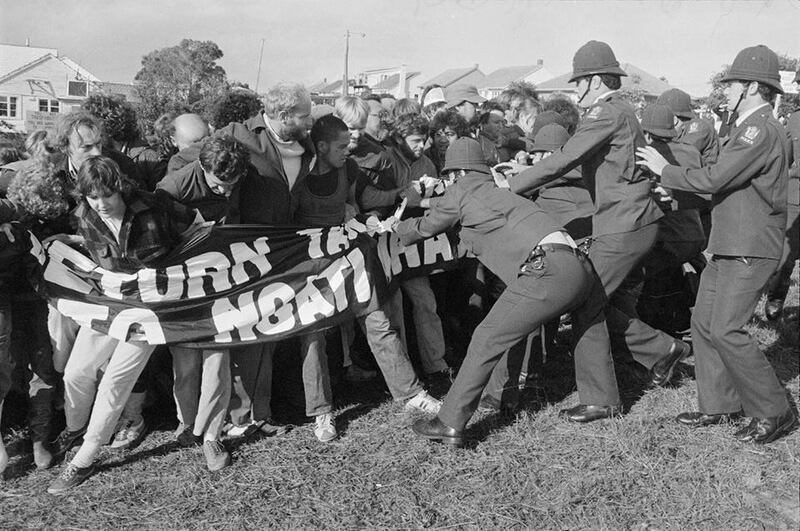 From 1977 to 1978, a 506-day protest against a proposed Crown sale of Ngāti Whātua Ōrākei land was held at Bastion Point Takaparawhau. The protest became a key symbol of the Māori land rights struggle. This exhibition tells this important story and showcases iconic imagery from photographers Mairi Gunn, Gil Hanly, Margaret Jones, John Miller, and Robin Morrison.